USPS Tracking Options and price: The United States Postal Service (USPS) was born out of a principle that every citizen has a right to a low cost and reliable delivery service. The system now delivers 213 billion items to 156 million addresses annually. i) Global Express Guaranteed: 1-3 business day delivery. 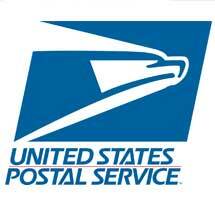 ii) Priority Mail Express International: 3-5 business day delivery. iii) Priority Mail International, flat rate international shipping price, free shipping supplies and discounts.6-10 business day delivery. iv) First-Class Mail International, most economical option for postcards, envelopes, and flats ) First Class Package International Service: Send small packages to 180 countries. 2. Every Door Direct Mail: it is an easy, affordable solution to approach potential customers near your business. Create your own mail, select postal routes and pay for postage online. You have to bring your mailing to your local Post Office for delivery to your customers. 3. Military or diplomatic shipment: sending a shipment to the military member. Pay, print and ship with care, get free boxes and ship from home. 4. Insurance & Extra services: like standard insurance, registered mail, special handling of fragile items. 5. Money orders: Money orders are a secure payment method. They are convenient, affordable and widely acceptable. Money orders are a way of sending cash that will never expire. You can purchase a money order from the Post Office and then provide the money order as payment. USPS service alerts warn customers and users about the delay in deliveries due to weather or other natural disasters. There is a pickup service available on the website where you can order a pick up for free for customers of expedited service like Priority Mail, Priority Mail Express, Global Express Guaranteed or Merchandise Return Services. Similarly, hold mail service is available at some ZIP codes where you can ask to hold the mail for your address if you are going out of town or away for a while. The email will be kept safe. Forward mail service is also available for temporary change of addresses or a permanent relocation. To locate the nearest service center, you have to go the website and click on menu ‘Find locations’. Fill in the form with the applicable city name, state name or zip code. USPS uses a system known as CONFIRM to track items through its delivery process, which uses the IMb – Intelligent Mail Barcodes, printed on the packages, that provide a unique code for each one. The IMbs are read by an Intelligent Mail Devices (IMDs) which feed the information into a central database. its read at each hand over along the route, either by fixed or hand held units, which provides an accurate way of determining when each stage is reached.The customer has different levels of access to the tracking data dependent upon the level of service that they purchased.If Priority Mail Express was selected then entering the label number will provide point-by-point tracking information; USPS Tracking, Certified Mail, and Registered Mail will show when it was despatched for delivery. IMb technology can also be used to track incoming mail and also identify the sender. In addition, there is the ADVANCE system which provides a series of reports for companies that are sending out bulk mailings of advertising material and periodicals. This can provide useful information on the intended audience, incorrect addresses and confirmation that the service purchased were achieved successfully.This replaces manual publication tracking requests and provides a much higher level of information at a reduced cost.By combining forces with other companies that might be seen as competitors USPS is managing to remain financially secure and independent. Despite the growing use of the internet, the volume of items that are being delivered is still increasing year on year. stage Price Calculator can locate on the website. You have an option to find out both domestic and international tariff rates. You have to select a destination, zip code, mailing date, content, flat rate service or shape and know the applicable price rate. The tracking service is available online on the website itself. Enter your receipt number or tracking number to know the location of your shipment. SMS tracking option is also provided. Text your tracking number to 28777 to know your shipment delivery date. The website also provides an option to create a USPS account through which you can avail facilities like printing shipping labels, requesting a package pickup, buying stamps and shop, managing PO boxes, printing custom forms online, filing domestic claims etc. the postal store has options like personalized stamps, gifts, and money orders, returns and exchanges. e customer care is available at the website for mailing purposes at https://prd2faq.usps.com/faq/iq/usps/request.do?forward=emailUs. You can also call customer care at 1-800-275-8777.